Show Hire supplies a range of Honda generators, the market-leaders in low-noise and low-weight compact style portable power. Honda’s generators are quiet, light, compact, robust, and provide superb efficiency and reliability. They are suitable for caravanning, boating, camping, DIY or any other “go-anywhere” power application. Generators and power are an essential for any event. 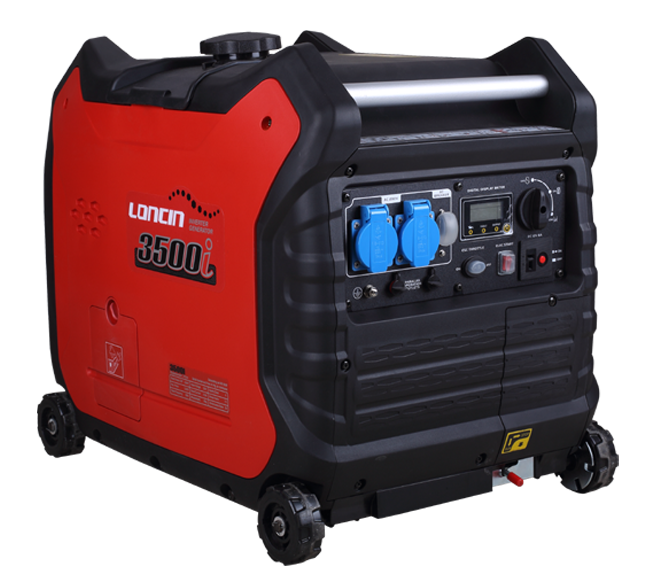 For specific information about each generator, please click on one of the items below. We are a rapidly expanding business, and our equipment hire division continues to grow. If you cannot see the equipment you would like to hire on these pages, please contact us. At only 21 kg, the Honda EU20i utilizes Honda’s state-of-the-art inverter technology to provide 2000 watts of lightweight, quiet and efficient power. 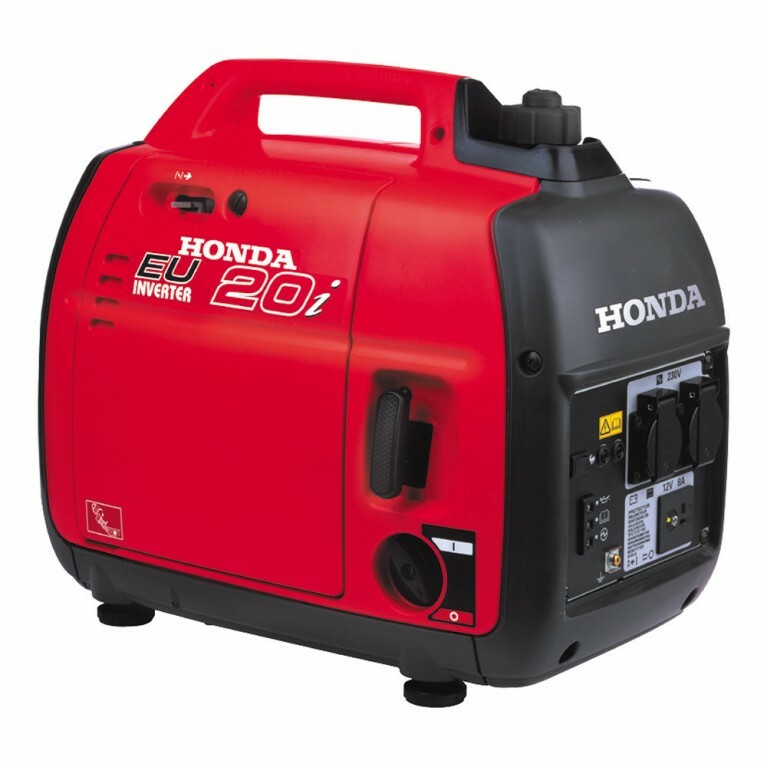 The Honda EU26i petrol generator provides 2600 watts of power (ideal for heavy domestic and professional applications) whilst only producing 49 dB of sound, that’s quiet! 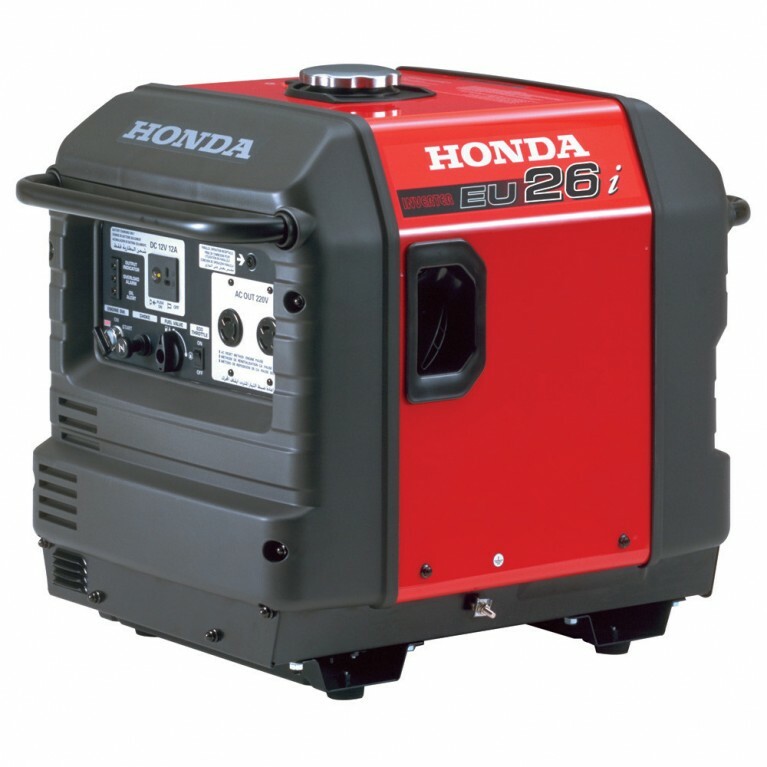 It has all of the unique elements that set the Honda EU generator range apart from the competition.